Clive Daniel Hospitality, the hospitality division of Florida-based interior design firm and furnishings retailer Clive Daniel Home, is continuing to broaden its international horizons by again providing design services to The Jack Parker Corporation, developer of PACIFICO, a mixed-use development in Guanacaste on the Pacific Coast of Costa Rica. Nancy Woodhouse, IDS, VP Hospitality Division and her team will provide furnishings for a new enclave of 72 residential ocean-view units in four buildings. The first phase will encompass one 18-unit building with 12 one-bedroom units and 6 two-bedroom units, all with interconnecting lock-off doors to maximize flexibility and rentability. Three floor plans range from 609-square-feet to 1032-square-feet of living space – with finishes that blur the lines from indoor living areas to outdoors|–|featuring balconies with glass railings overlooking panoramic ocean views. Clive Daniel Hospitality will also coordinate every facet of the manufacturing, shipping, import documentation and installation process to meet development deadlines. With the condo/hotel-style lock-off feature in every residence, many buyers are expected to purchase multiple units for rental purposes. Sales prices start at $185,000, including furnishings in a contemporary coastal design with organic natural colors, driftwoods, impactful textures, wood-styled flooring, sophisticated quartz countertops and upgraded stainless appliances. 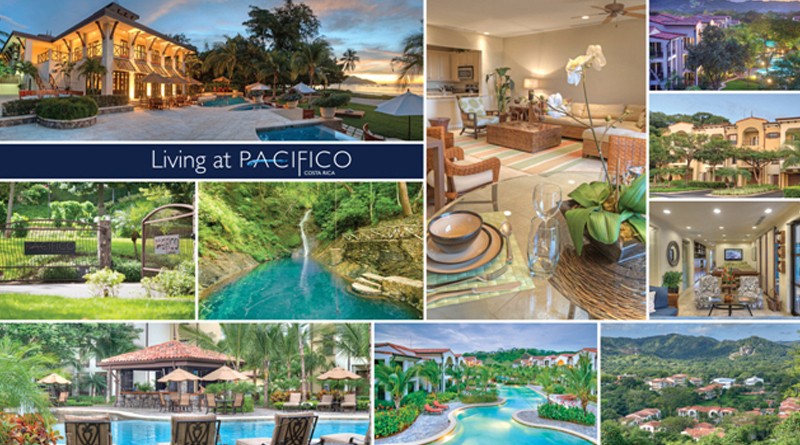 Since the start of sales in 2007, PACIFICO has sold and closed 327 residences and homesites totaling over $74 million and is recognized as one of the premier properties in this Central American region of Costa Rica. Woodhouse is uniquely qualified for this partnership having previously lived at PACIFICO while managing an interior design/furniture retail store in The Village Shops that created nine models and hundreds of turnkey, furnished condominiums and townhomes in the community. Clive Daniel Hospitality is respected for its hospitality design work, providing purchasing and design services for commercial properties and developers of condominiums and residential communities.